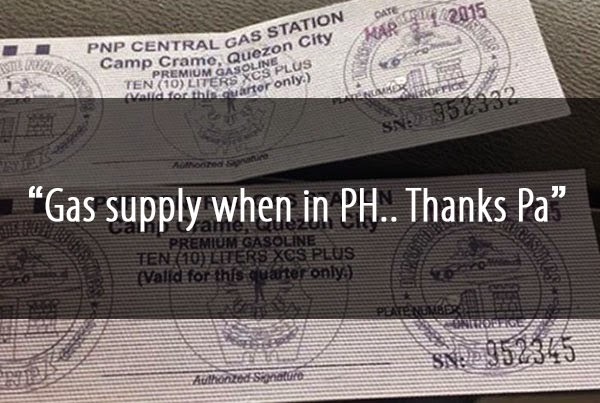 A photo showing two gas coupons from the Philippine National Police which were allegedly misused by a PNP officer's kin has gone viral online. The picture captioned "Gas supply when in PH.. Thanks Pa" drew negative reactions from netizens after a screenshot was posted on the Facebook page of motoring magazine TopGear Philippines. 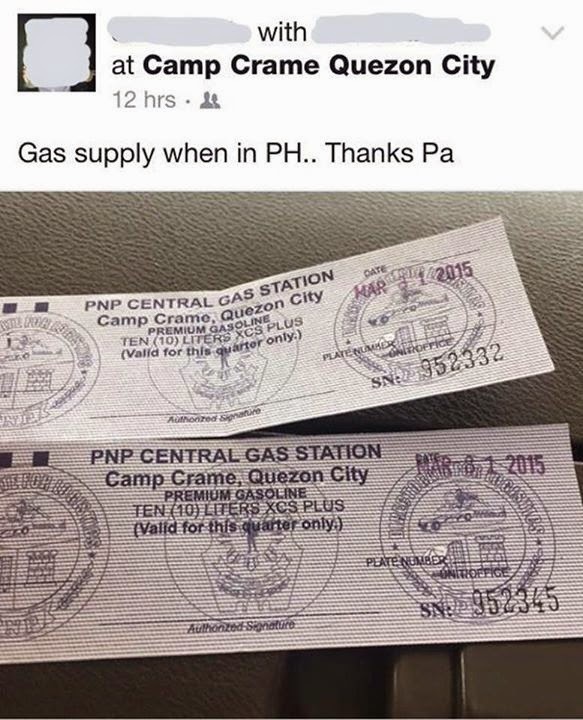 According to a report on GMA News Online, the PNP is tracing the police officer who issued the gas coupons. PNP spokesman Chief Supt. Generoso Cerbo Jr. reportedly said an investigation will be conducted to find out whether or not the gas coupons were indeed misused. Cerbo noted that GCs can only be used for official vehicles or private vehicles that are used for police operations, the report said. He added that the one who issued the gas coupons, which "look authentic" he said, can be traced by checking the serial number. The serial number 952332 is printed on one gas coupon while the other has SN: 952345.